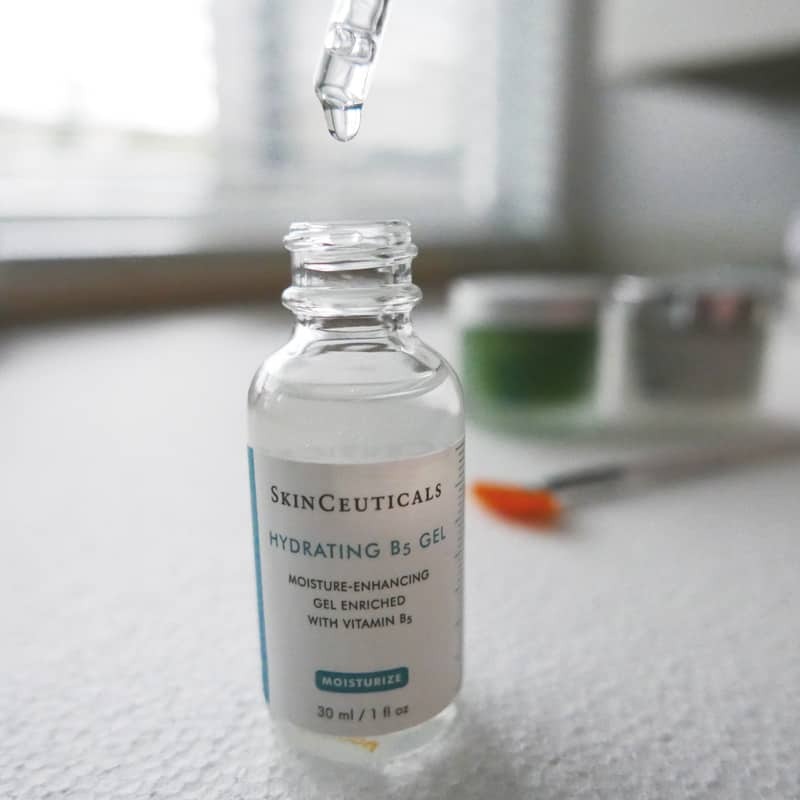 You probably know that I’ve been madly in love with SkinCeuticals products, if you’ve been following me on my Instagram feed. I’ve recently introduced the Hydrating B5 Gel and a few other moisturizing products into my Asian skincare routine and found it working best with my Normal-Dry skin type. To be honest, I’m not very committed to using a single skincare line. Instead I favor using a few different products from different companies. I swamp out certain products depending on the time of day or seasons to create the best skincare routine for myself. I’m too lazy to commit myself to a 10-step Korean skincare routine, etc. What works for one person doesn’t necessary means it works best for me. Besides, I’ve found that completely changing all products usually just inflames my skin. But I must say, I love (selectively) trying out new products. After using the following SkinCeuticals products over a 3-4 month period, I feel my skin has not had any allergic reactions nor breakouts. Which is always a good sign! Let’s get into each product! This serum is oil free but extremely hydrating with hyaluronic acid. It has a watery viscosity and is not scented. This moisturizer combines vitamin B5 with hyaluronic acid which acts as the body’s natural hydrator and helps bind moisture to the skin. Two drops is plenty. It absorbs quickly but does not disappear right away. I make sure I also moisturize my neck with the extra left over products! WHEN: I use this after my toner/first essence. If the hydrating B5 Gel is still not enough to get you through whatever rough/dry climate you are in than the Hydrating B5 masque just might save your face! 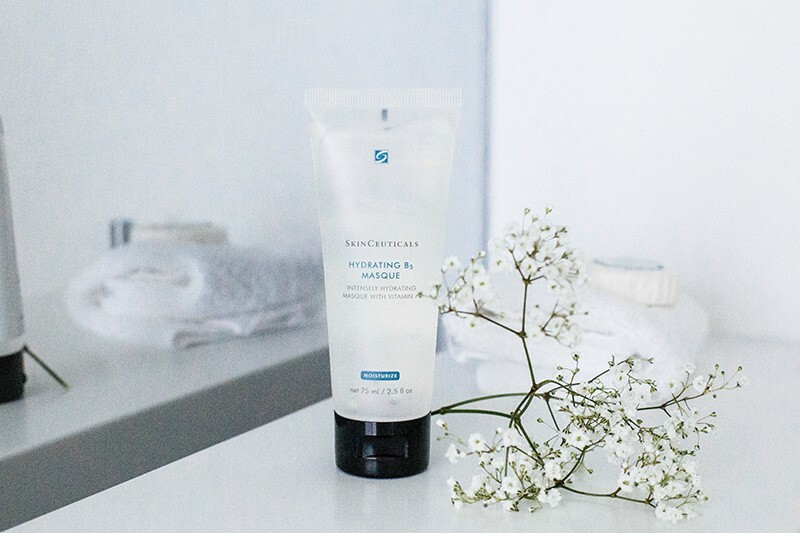 Similar to the B5 Gel, the B5 Masque contains high concentrations of hyaluronic acid and vitamin B5. Intensely moisturizing and I recommend using this 1 to 2 times weekly to help restore water balance and replenish parched skin. It feel like a cool gel when you first apply it to your skin with an initial tingle. WHEN: I use this after my serum. 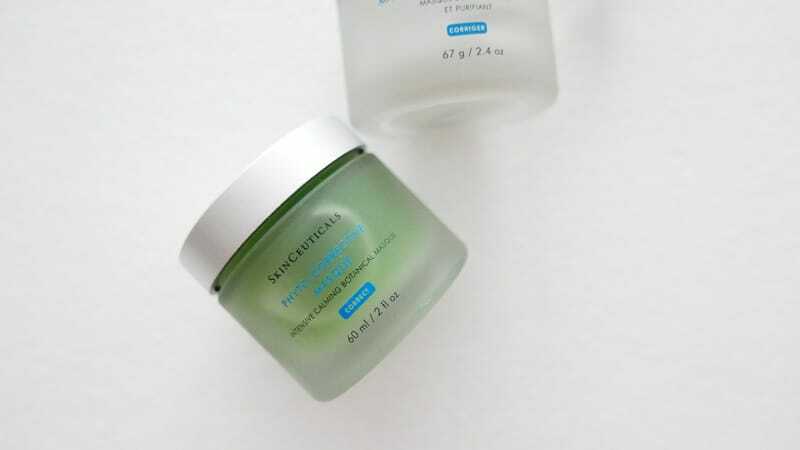 I love the texture and the cooling effect of this SkinCeuticals Phyto Corrective Masque! This versatile botanical facial mask has multifaceted uses: leave on, rinse off or as an overnight treatment aka water sleeping mask. It has been clinically tested post-procedure to effectively reduce visual redness, discomfort, and heat. So it is particularly soothing to use post procedure – post laser, extractions, photodynamic therapy (PDT), intense pulsed light therapy (IPL), and other in-office procedures. Also, if you’re skin is easily sensitive especially affect post workout, sun exposure and/or hot bath,chlorine/salt water from swimming, windburn from winter activities than this is for you! I like to use this calming facial mask 1-2 times a week and often with a thin layer as an overnight mask to restore radiance and smoothness. It also helps to reduce redness! WHEN: I use this after my serum. Sometimes I also mix in 2 drops of B5 Gel for added hydration. This moisturizer absorbs into my skin very quickly. Quicker than the B5 Gel and didn’t seem to stay. 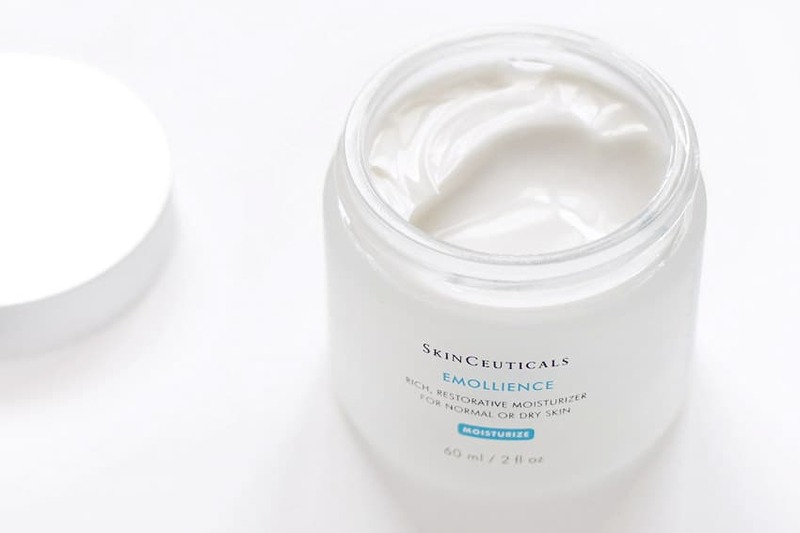 The Emollience is formulated with sea algae, grape seed oil rose hip seed oil to help hydrate and moisturize parched, dry, sensitive skin however, I find it too gentle for the winter months. Come summer time I certainly would welcome this into my regime. 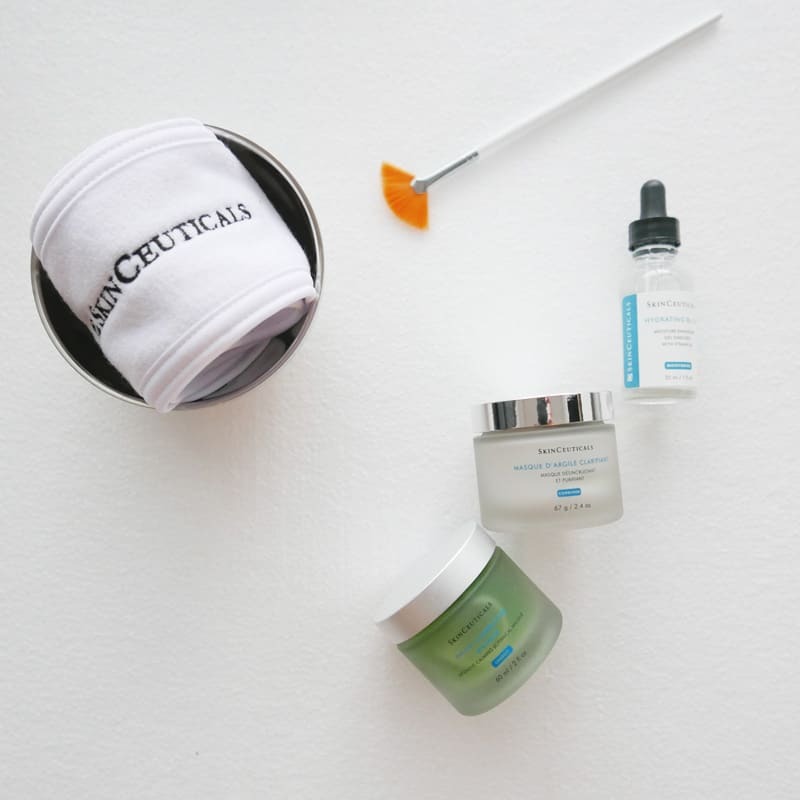 Overall, I quite like SkinCeuticals products and excited to keep them rotating in my skincare regime.